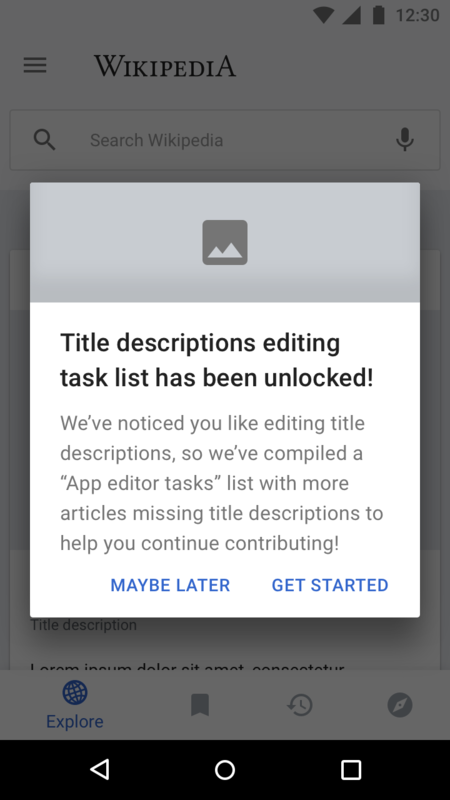 Encourage Android app users to start editing by presenting them with more opportunities to make ‘micro-contributions’ to the app. 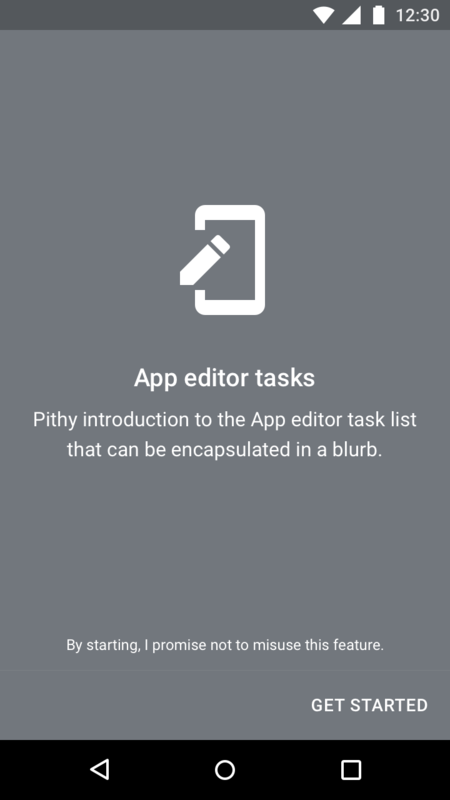 Introduce a series of small tasks which encourage more contributions from Android app users. Extend usage of existing micro-contribution tool. 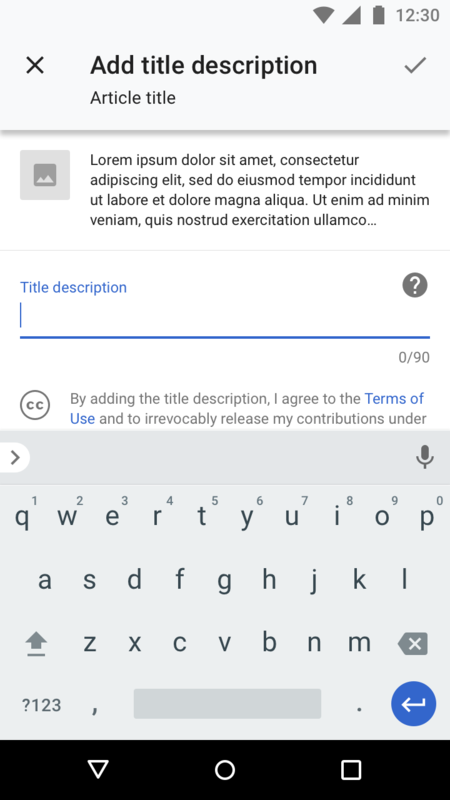 The (Wikidata) title description editing feature on Android has proven successful in encouraging micro-contributions. 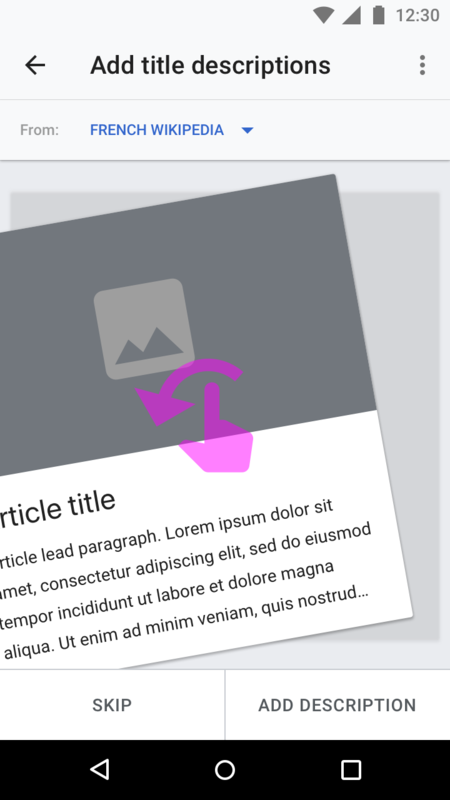 This is a suggested next step as outlined in Phabricator task T164606. 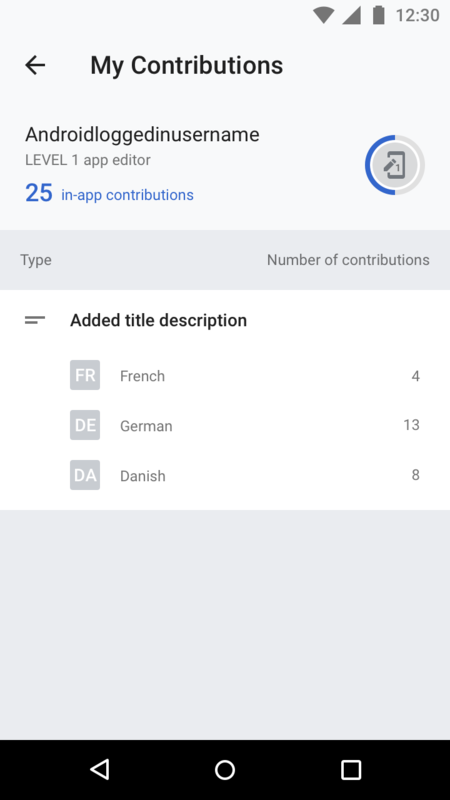 Extend app knowledge of multilingual users. 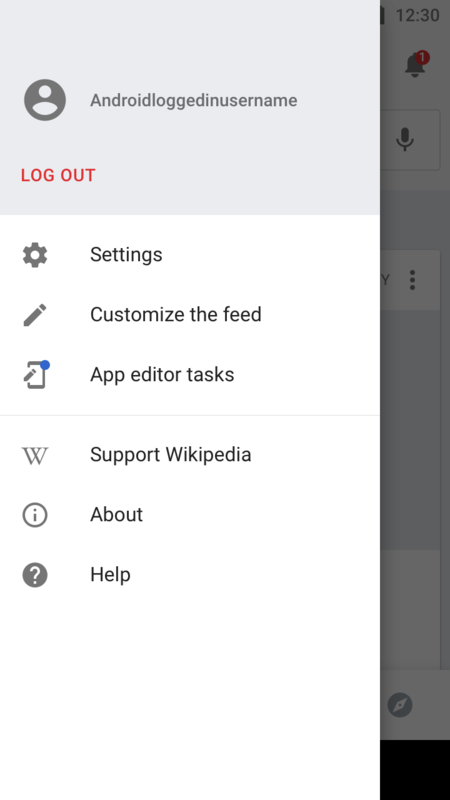 This is a suggested next step after the initial improvements to the Android app's multilingual experience (see T160567). 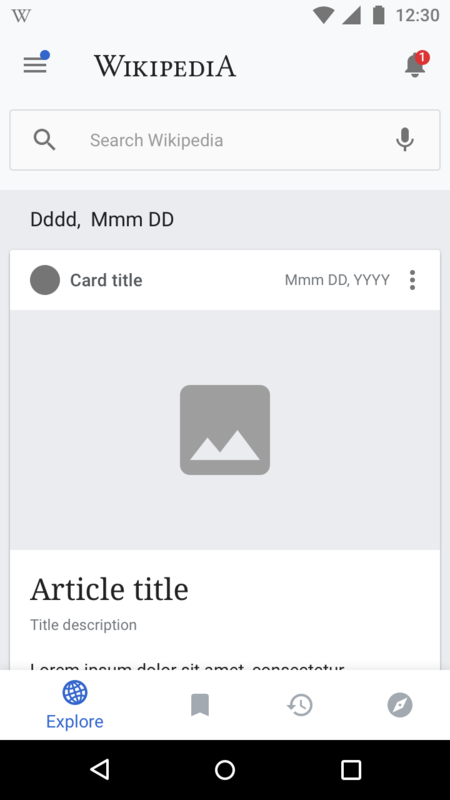 1/ ...be shown more articles requiring descriptions in the app, so that I can grow my contributions to Wikipedia. 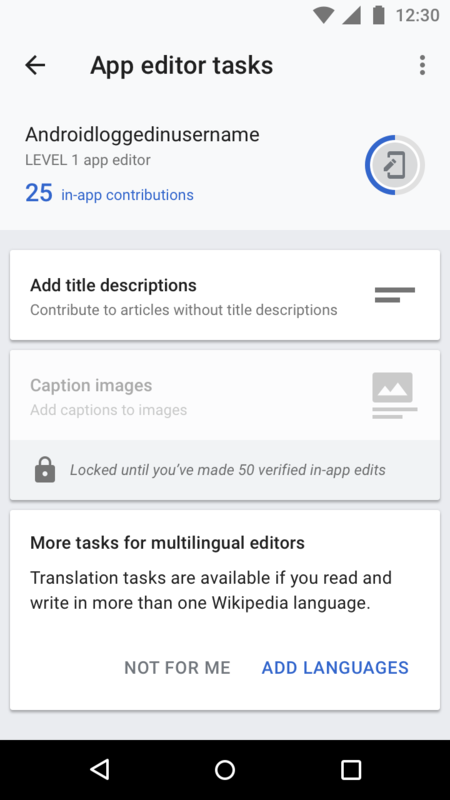 2/ ...be shown more small app-friendly editing tasks like adding image captions, so that I can grow my contributions on Wikipedia. 3/ ...be shown articles with a title description that can be translated into other languages I speak, so that I can grow my contributions to Wikipedia. 4/ ..be shown more images requiring translations, so that I can grow my contributions to Wikipedia. 5/ ...rate the quality of other editors' work, so that I can become more familiar with Wikipedia editing. The following may be broken up into further sub-tasks. 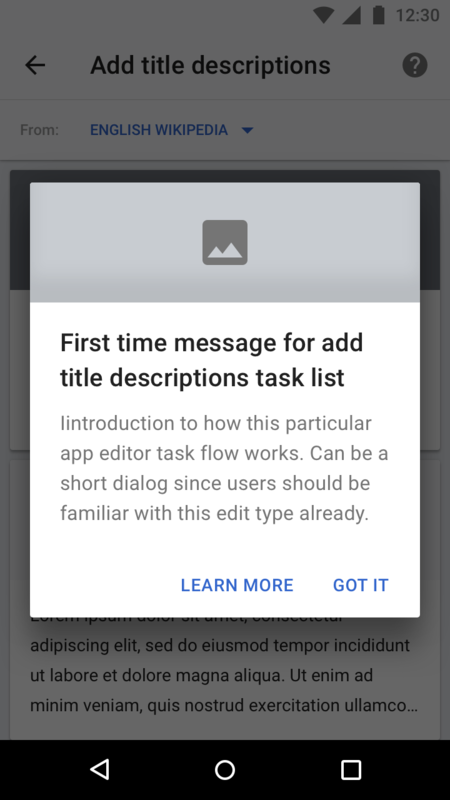 Quality tracking of edits - implement instrumentation to monitor the rate of reverts from edits made within the App Editor task (setting warnings when it is above some threshold). Highlight/Promote the release of the feature via Community Engagement and/or other onwiki communication. 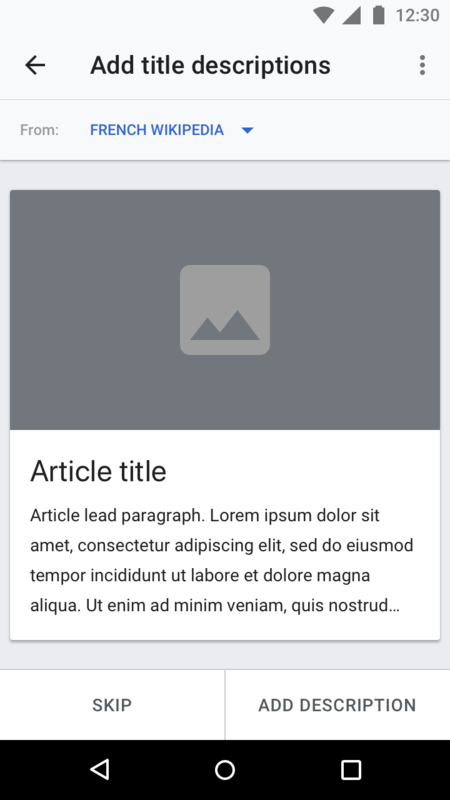 Mholloway added a subtask: T209997: Create a new API endpoint which returns Commons images in need of a caption or caption translation. Jhernandez moved this task from Needs triage to Epics on the Reading-Infrastructure-Team-Backlog board. 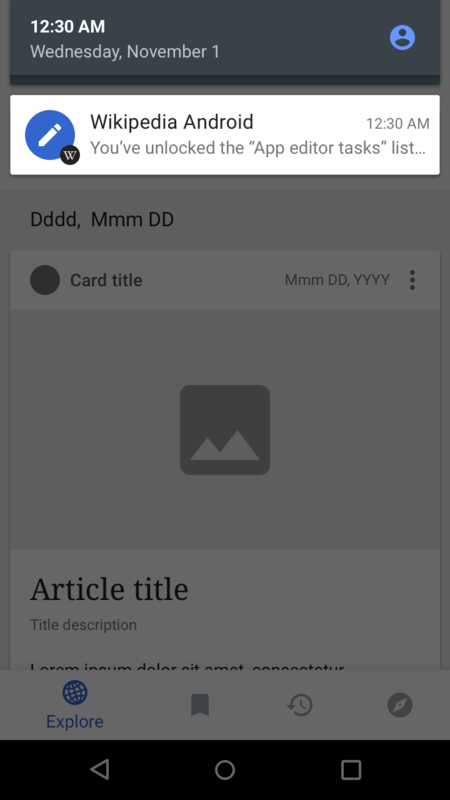 Charlotte edited projects, added Wikipedia-Android-App-Backlog (Android-app-release-v2.7.27x-L-Lamington); removed Wikipedia-Android-App-Backlog. Mholloway removed a subtask: T209997: Create a new API endpoint which returns Commons images in need of a caption or caption translation. Moving this edit action feed mothership back to the “Needs Design/Design doing“ column since there will be modifications to the flow/screens based on feedback from usability testing. 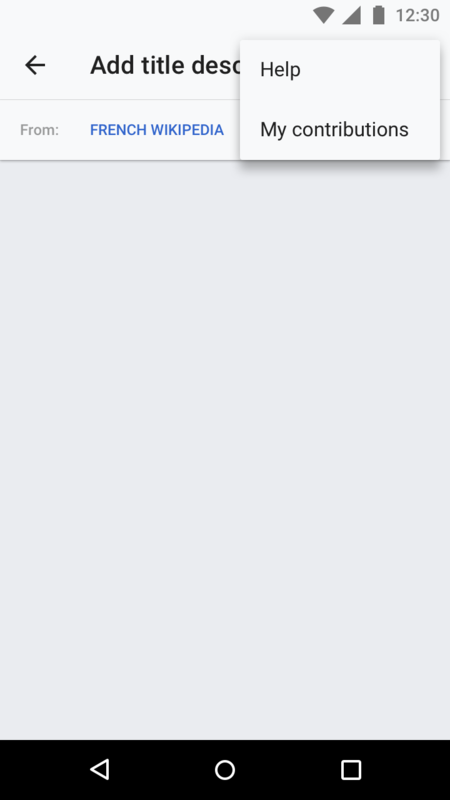 Alright, @RHo just informed me that an EPIC stays open in the first column until all subtasks are done. Sounds reasonable to me, moving it to “Backlog“. 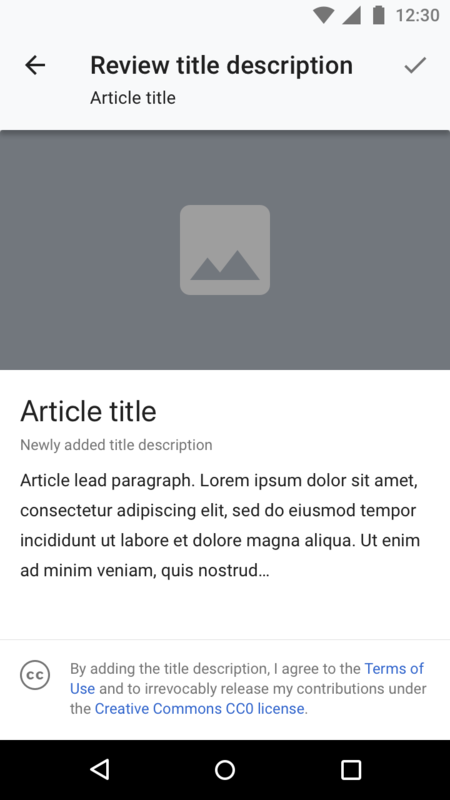 Dbrant closed subtask T207334: Create a UI for Translating title descriptions (within the App Editor Tasks list) as Resolved.